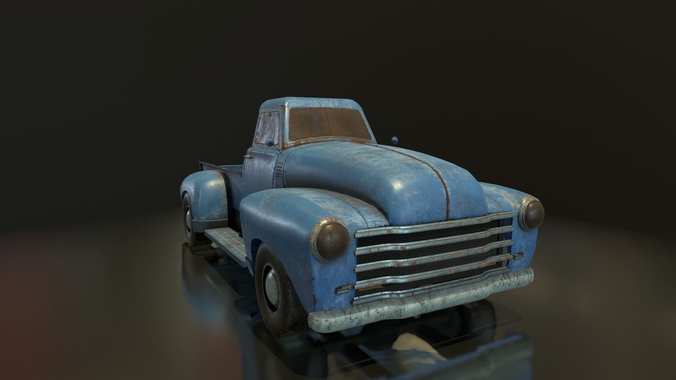 A mid-poly model of an old rusty pickup made in 3ds max and textured in Substance Painter. There are 3 texture packs for cabin, trunk and lower parts and wheels. Each pack consist of diffuse map, normal map, roughness, metallic, ambient occlusion, height.